The spring summer season has finally kicked in and we at Apacheonline are proud to announce the arrival of the new Diesel Spring Summer 2013 collection. As always Diesel have produced yet again another brilliant collection featuring some very nice pieces. Designs include chambray placket polo shirts, slub effect fabrics, Carrot and Skinny fit jeans and slim tailored silhouettes throughout the range. 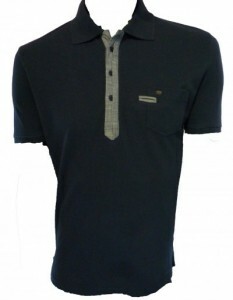 This is the stunning T Rodney Check Collar Polo Shirt. It is available in White and Black and is a brand new Spring Summer 2013 design. Featuring a soft cotton stretch pique fabric and striking contrast check collar, this is ideal with a slim tapered Diesel Jean for a great look this season. The T Admiral Chambray Placket Polo Shirt has also just hit the shelves. In a quality cotton pique fabric and bold contrast chambray placket, this is a modern twist on the classic polo shirt. This great T Shirt design is available in 3 great colours. The T Nuck Crew Neck Logo T Shirt is a simple brand carrier design that will definitely get you noticed this season. The Regular Slim Tapered Fit of this Diesel Darron Jean is bang on trend. Also in a quality burgundy coloured denim this teamed with a slim fit polo shirt will give you the ultimate look this summer. This is a brand new fit from the guys at Diesel and has had a great reaction so far. The Belther Regular Slim Tapered Jean comes in 2 different washings and is going to be a big hit. So there is just a little teaser of what has arrived so far for the diesel spring summer 2013. Make sure to keep checking the blog and Apacheonline.co.uk for all the latest arrivals.